As adults, we take it for granted that we understand the language that we hear spoken all around us. It’s easy to forget that little children don’t always have that ability. It’s especially easy to forget that your child might not understand everything when they’ve grown so much in their language ability since they were an infant. It feels like they DO understand everything you’re saying. However, any kindergarten teacher will tell you that many children simply don’t understand the questions that they’re asked. The better your child can understand questions—and ask their own—the better they will tend to do in school. So what can you do to help them to develop this ability? Here are a few tips from our day care in Huntington. Which bowl has more marbles in it? How many stuffed animals are on your bed? How many eggs are in the carton? If you were a fairy, what would you do? What do you think hair is made of? What do you think that bulldozer is doing? If we came to the very end of this road, what do you think we would find? If you could invent a new recipe, what would you make? 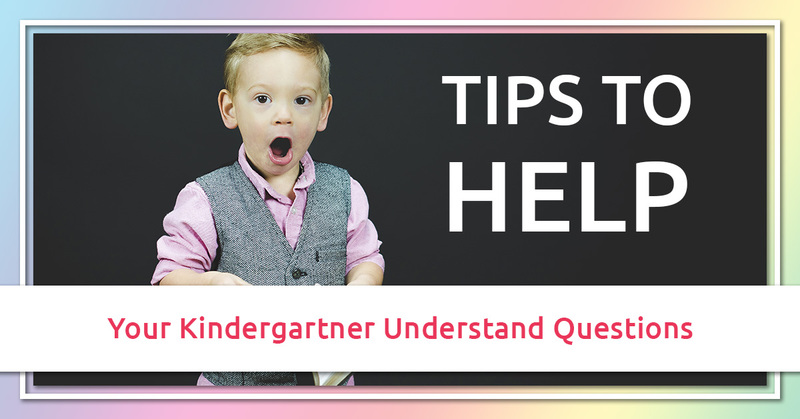 Asking questions with your kindergartner is a great way to help them to develop mentally, socially, and academically, so try some of these questions with your child! Here at Rainbow Chimes, we are committed to offering high-quality education and child care to children from infancy and up. Get to know more about our day care and enroll today.